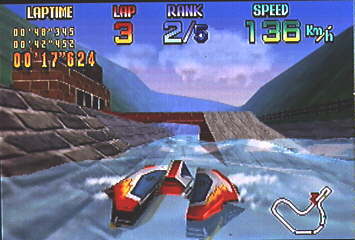 a futuristic, 3-D F-Zero style racing title that takes place on water covered courses. 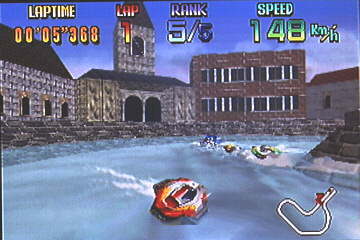 A notable effect in this title is the water dynamics. 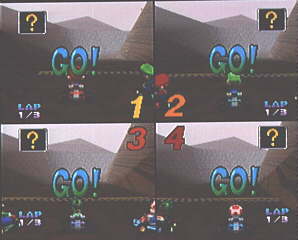 an updated, four-player simultaneous version of the SNES hit. Continue to page 5, or go back a page.